After extension research on Simon and Schuster’s business website and the Ready to Read website, I still have no idea when the brand was created. The very first Henry and Mudge book published in 1987 has the Ready to Read Level 2 on its cover, which is the earliest S&S series that I know of. The “Ready to Read” website was created in 2005, according to whois.net. 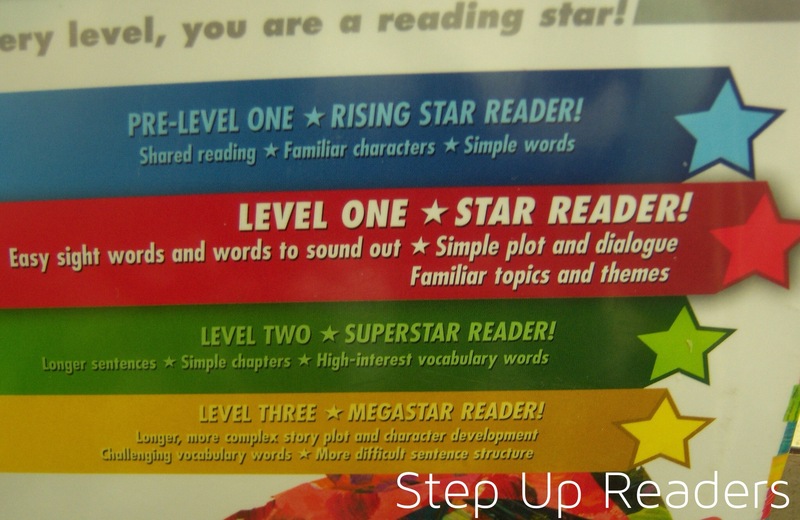 The most recent re-boot of the “Ready to Read” brand occurred in 2011, with the star levels being introduced. 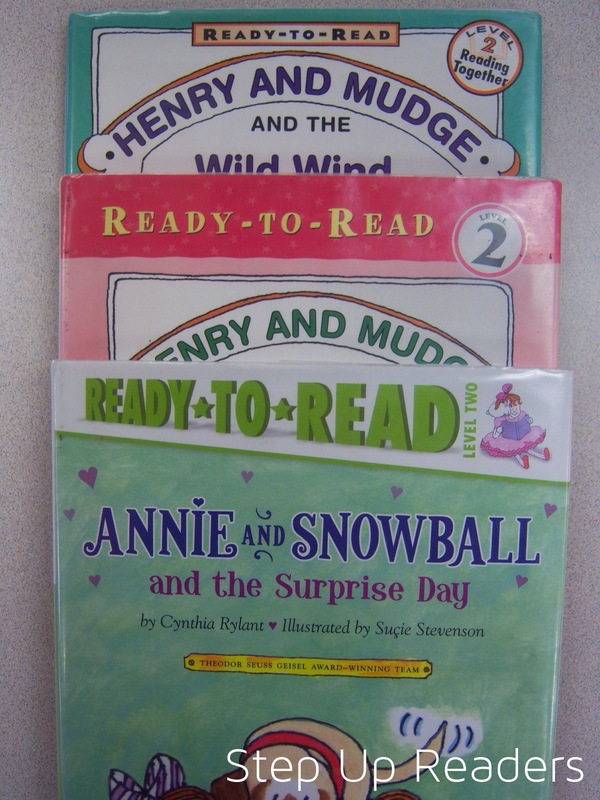 The are four levels in the “Ready to Read” series. Brownie and Pearl series had a AD140L and 1.0AR average. Olivia series had a AD368L and a 1.7AR average. Katy Duck series had a 415L and a 1.4AR average. Henry and Mudge series had a 431L and 2.4AR average. The only place that Fountas and Pinnell (Guided Reading) appears is in the recommendation app that I’ll write more about later. 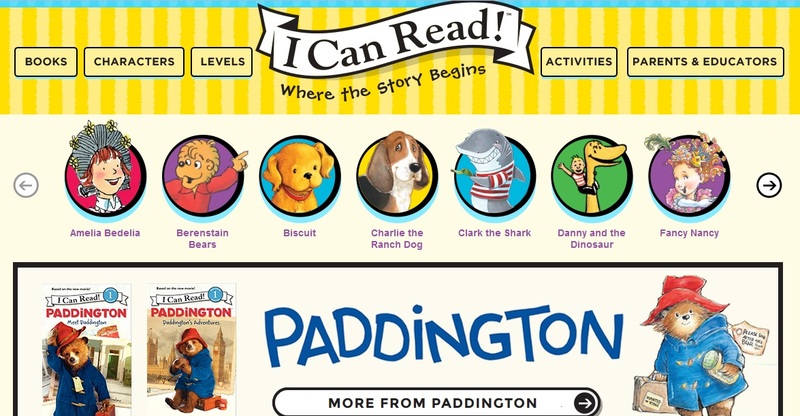 My favorite discovery on the “Ready to Read” site is their Assets section which includes certificates, activity guides, and other incentives to help beginning readers. I think this section could be a great help to a ton of librarians looking for activity pages as passive programs. Another great resource for librarians to be aware of is the App available on the site. By answering a few quick questions (gender, age, grade, Lexile, Guided Reading, and interests) — all of which are able to be skipped — will generate a selection of recommendations for “Ready to Read” books. This is a great place to start if you have absolutely no idea what to recommend, especially if a parent gives you a Lexile or Guided Reading level. “Ready to Read” also has a Facebook page, but no Twitter or Pinterest as far as I can tell. I also signed up for both the Parents email listserv and the Educators email listserv. I’m interested in seeing what the difference is between the two. And these actually accepted my work .info email address! So, I chose the series by looking at which books had the most statistical data available. I eliminated books that were media tie-ins (The Smurfs, Rabbids Invasion, Dreamworks’s Home) and also limited each grouping to a single author. Which means that since I evaluated “Henry and Mudge”, I did not evaluate “Annie and Snowball”. Daniel Tiger’s Neighborhood only had one book available on Lexile — “Thank You Day”, so it’s not a true average. The NC in the Lexile means Non-Conforming score. Basically that the score is atypical for the type of material the book is. It was also the only Lexile score available for the series.